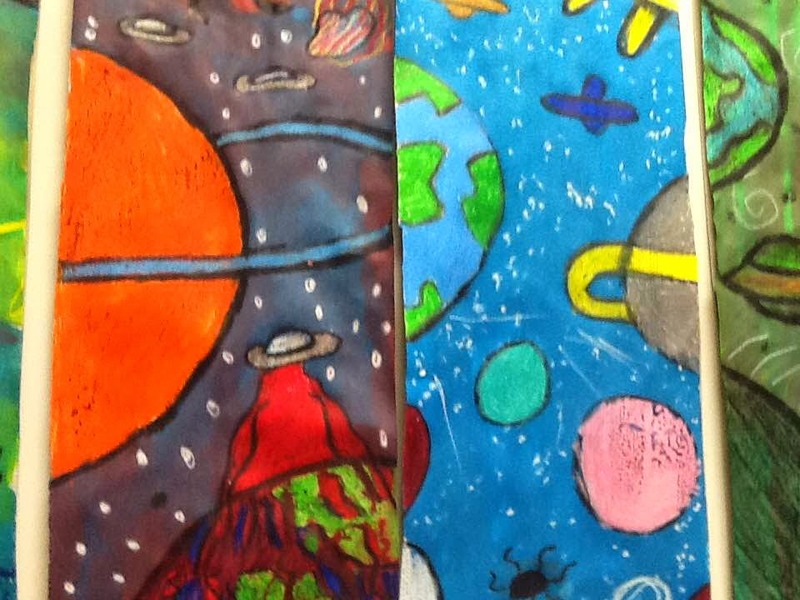 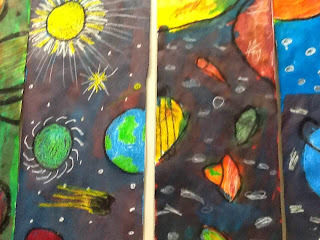 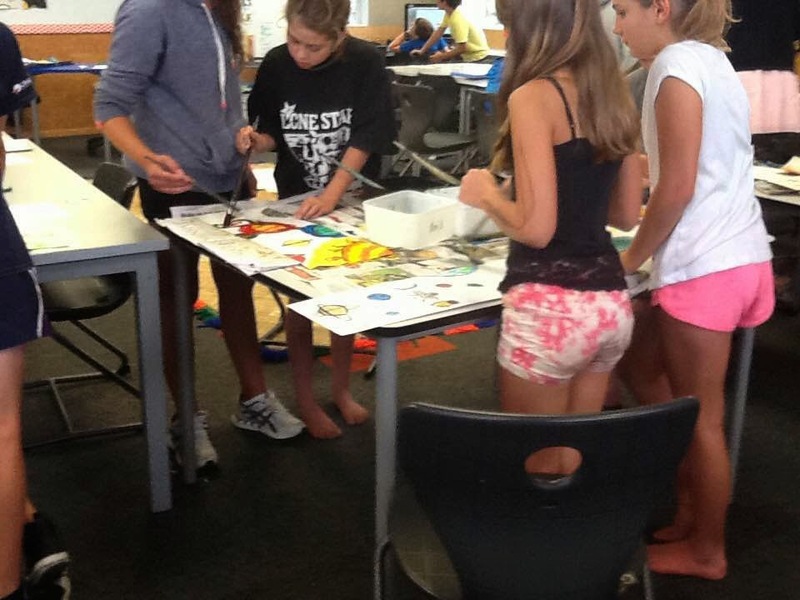 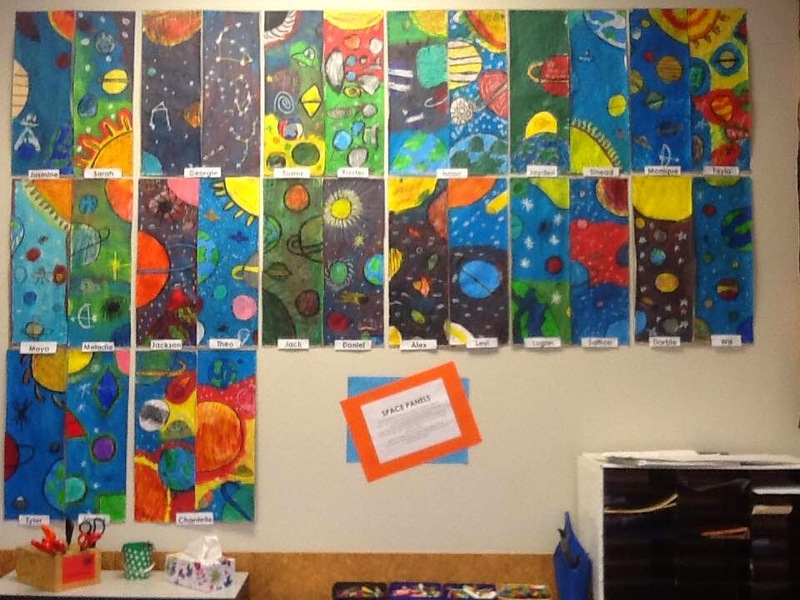 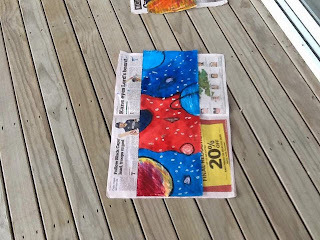 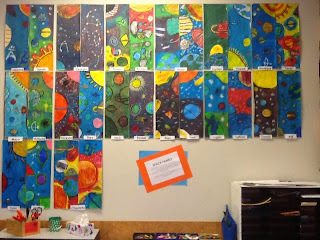 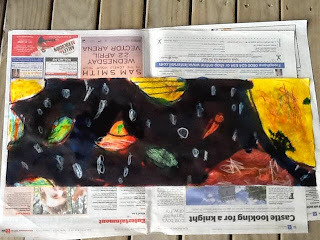 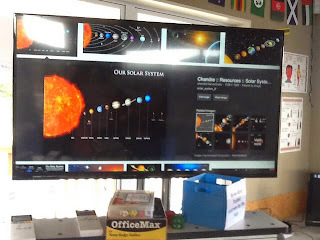 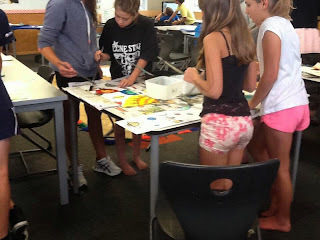 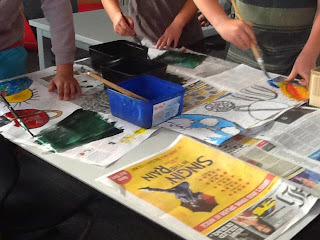 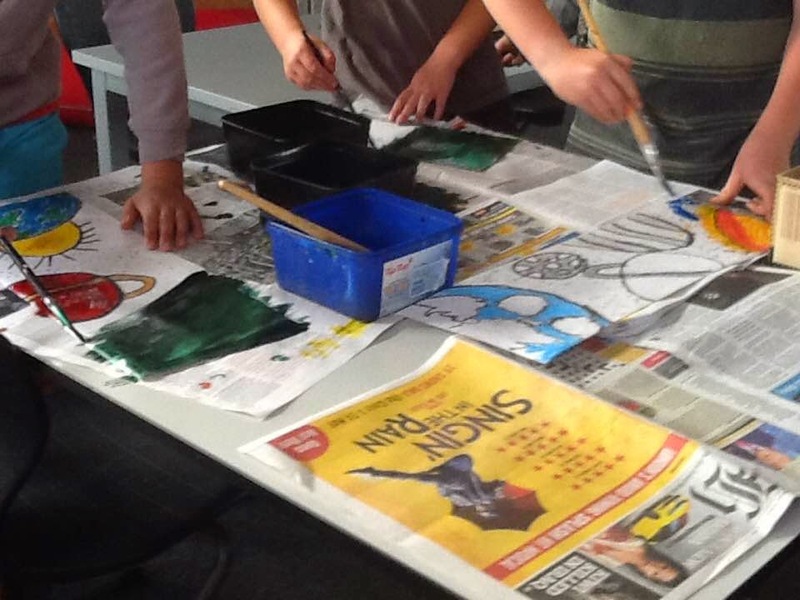 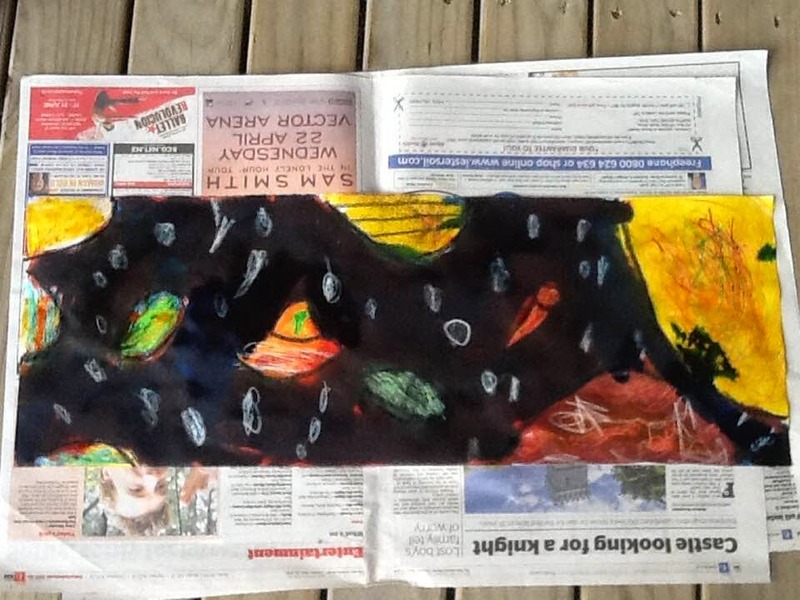 This week in Ruma Rima for Visual Art we created Space Panels. 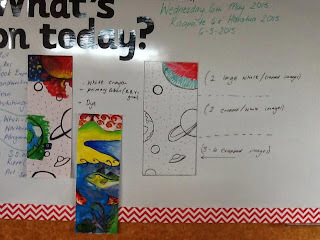 The challenge was to incorporate a range of images that reflect Space into a composition that demonstrates knowledge of the art elements of shape and line, the art principle of pattern and the compositional device of overlapping and cropping was also important. 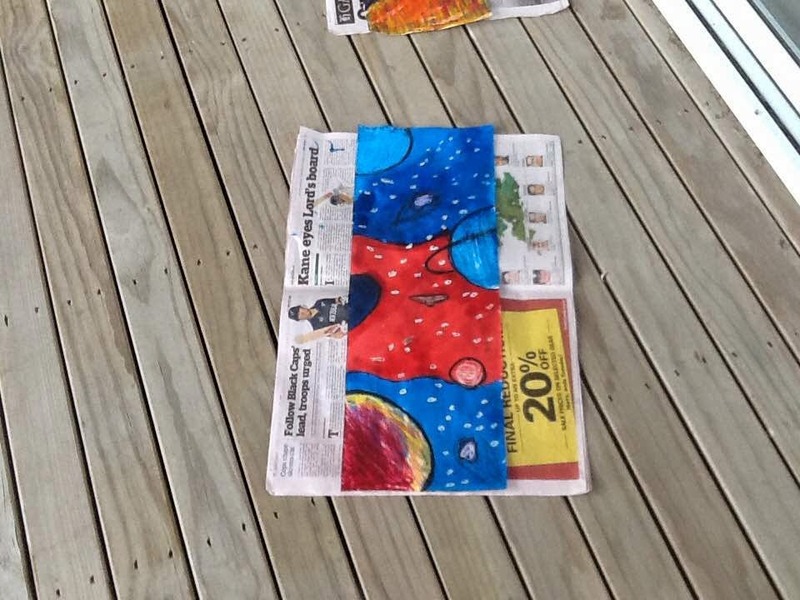 use of dye (either red, blue, yellow or green) blended together.